Instagram hats and tour BFFs. Alternative rock band Me Like Bees are super fun guys. 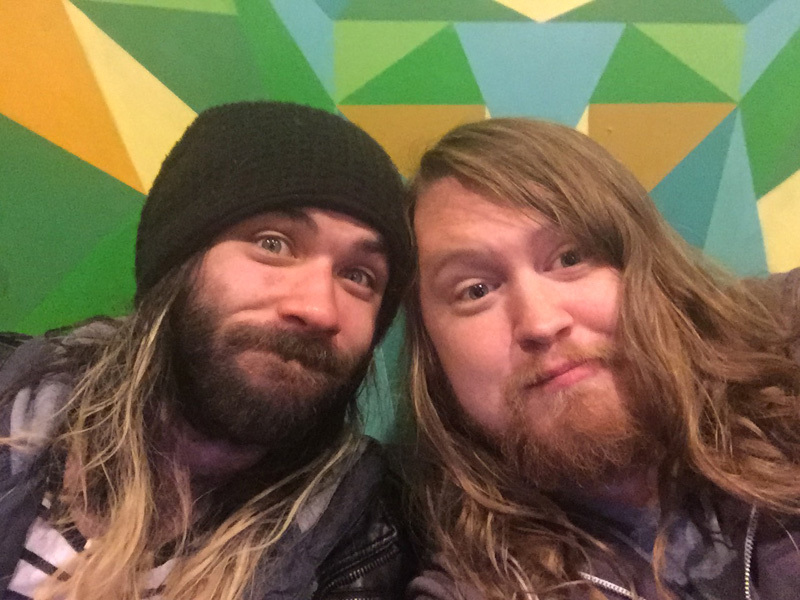 Since their 2009 inception, the Joplin, Missouri-based group has played hundreds of shows and met endless fans. 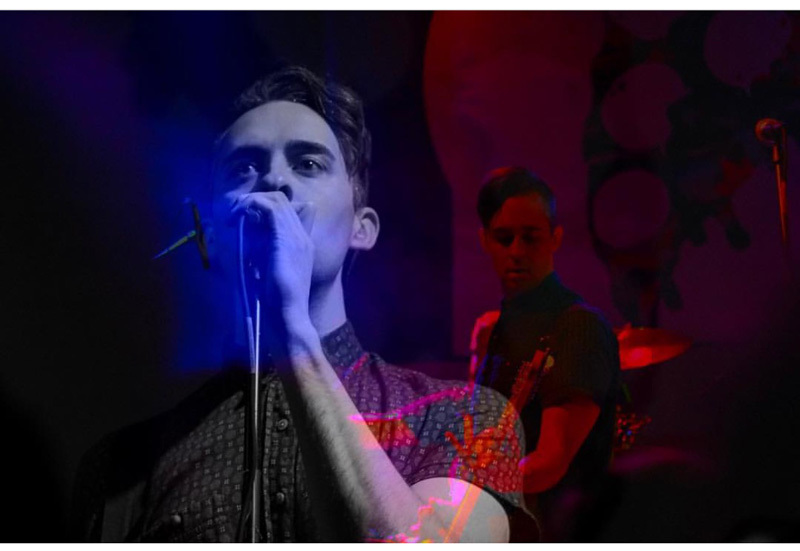 With a full-length album and two EPs to their name, including their most recent, There Will Be Time, the group has a knack for making catchy and authentic music. 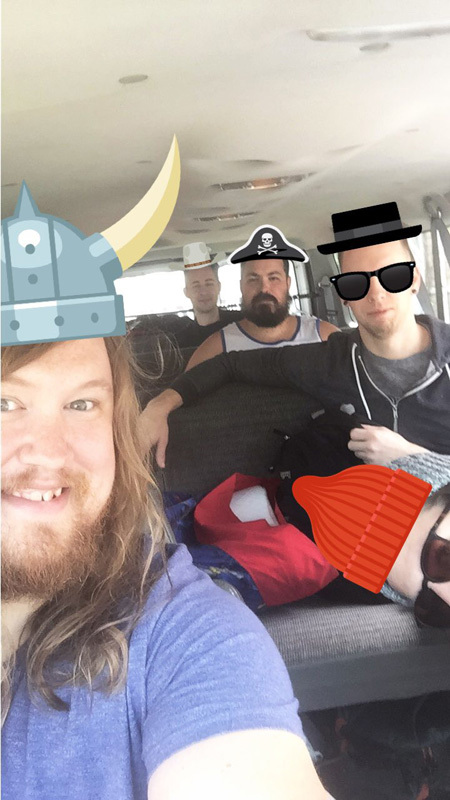 The four-piece—Pete Burton (lead guitar), Nick Bynum (bass), Luke Sheafer (vocals/guitar), and Tim Cote (drums)–are currently out on the road, supporting good friends (and fellow Joplin-based band) Never Shout Never. We’re lucky enough to have in our hands some exclusive photos of Me Like Bees from their time out on the NSN Throwback Tour. Between finding graffiti left behind from old tour buddies, and amping up their pics with Instagram filters, there’s never a dull moment with “The Ides” rockers. Make sure you check out the Me Like Bees exclusive tour diary below and don’t forget to track them on Bandsintown, so you never miss them in your city. This tour Luke has been taking pictures of people in our crew when they least expect, and putting a hat on them using Instagram Stories. He thinks it’s hilarious, and everyone has their own designated hat. 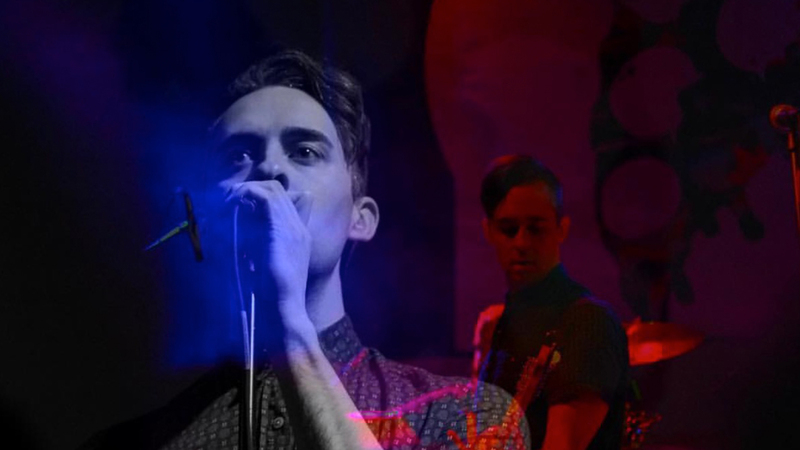 A fan from our first show in Lawrence, KS made this picture of Nick. He wants to use it as his senior picture. 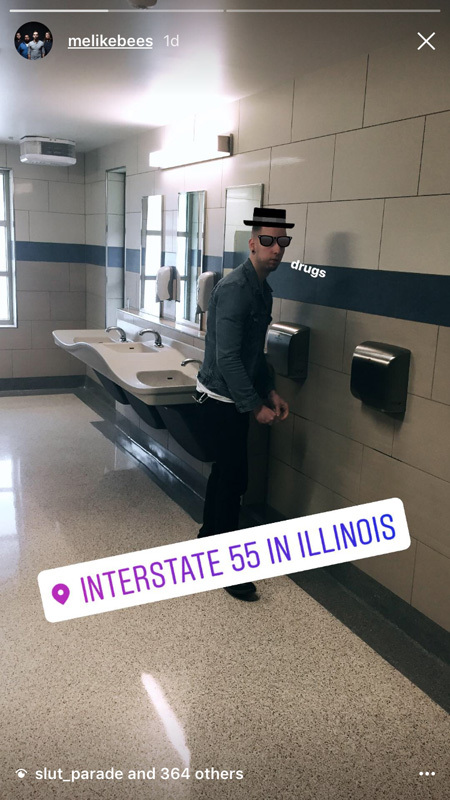 Luke totally got Pete in this rest stop bathroom. Since Pete’s designated character for this tour is Walter White, we call this getting “Walter’d”. 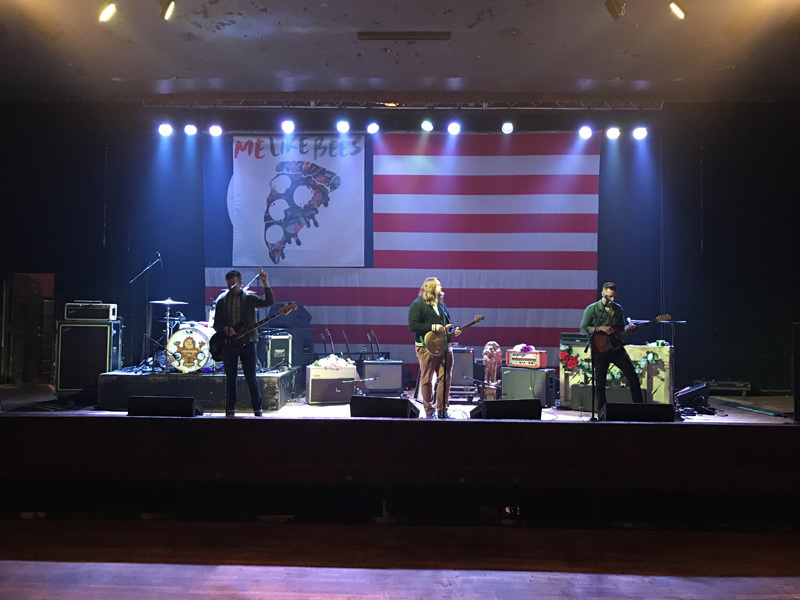 J-Thrill (our merch guy) likes to take pictures during sound check. He says it reminds him that we all just play music because we love it, first and foremost. With no one there, he often cheers and rocks to help us feel better about ourselves. 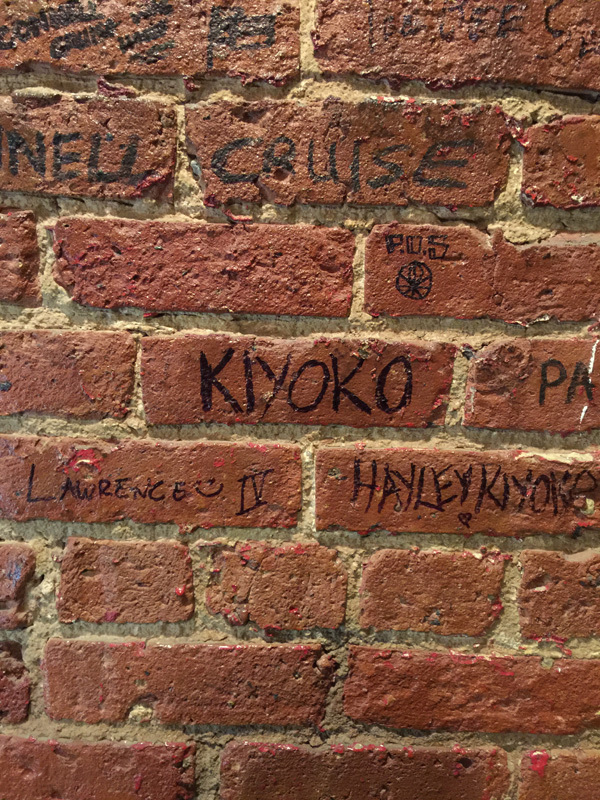 We stayed in the same Green Room in Chicago that our old tour buddies Hayley Kiyoko and Lawrence left their mark last time they played here. At our level, we don’t usually get what we ask for on our rider. It’s always great when the venue comes through though! 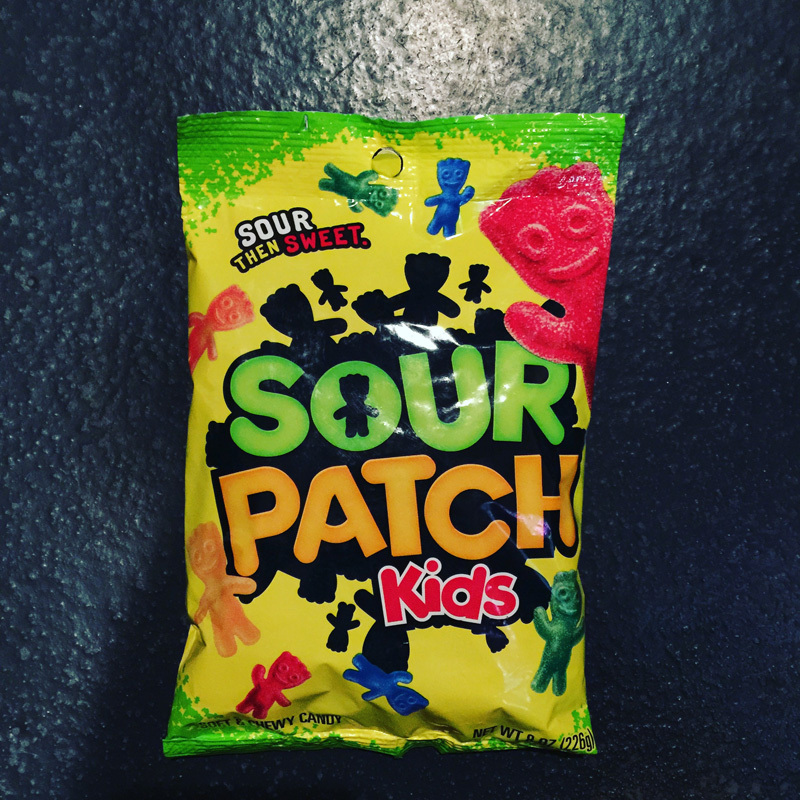 Nick loves Sour Patch Kids because they are one of the few gummy candies that are vegetarian. 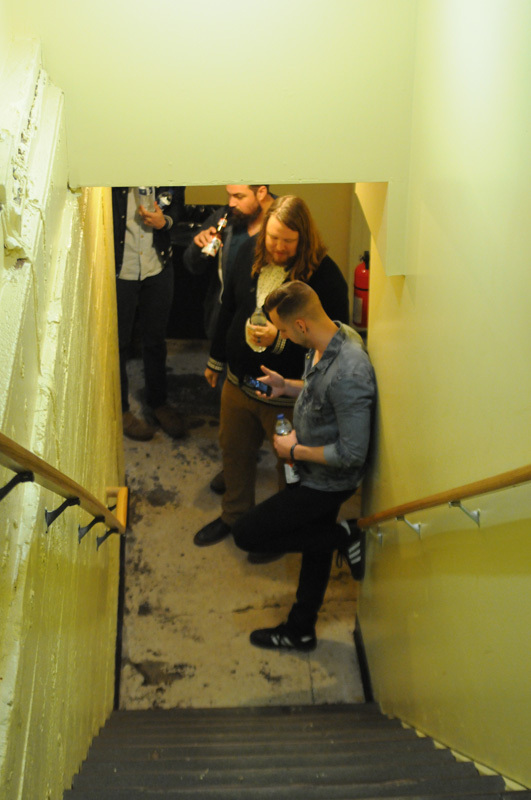 The gang getting in the zone before the show. Our show in Pittsburgh was on top of where Three Rivers Stadium used to be. 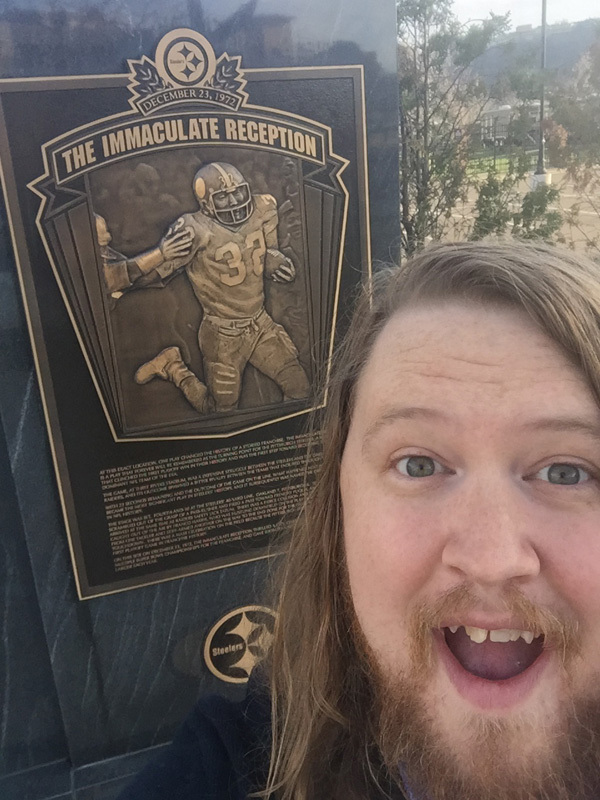 The old home of the Pittsburgh Steelers, it was where the Immaculate Reception happened, and the exact spot was marked. Luke was obviously pumped. Luke is BFF’s with NeverShoutNever’s drummer, Hayden.